SYNNEX is a 2019 “HP Inc. Partner of the Year.” Presented during HP Reinvent, HP’s largest global partner forum, which brings together more than 1,400 HP channel partners from across the globe, HP’s Partner of the Year Awards honor top-performing HP partners for exemplary achievements in growth and innovation. 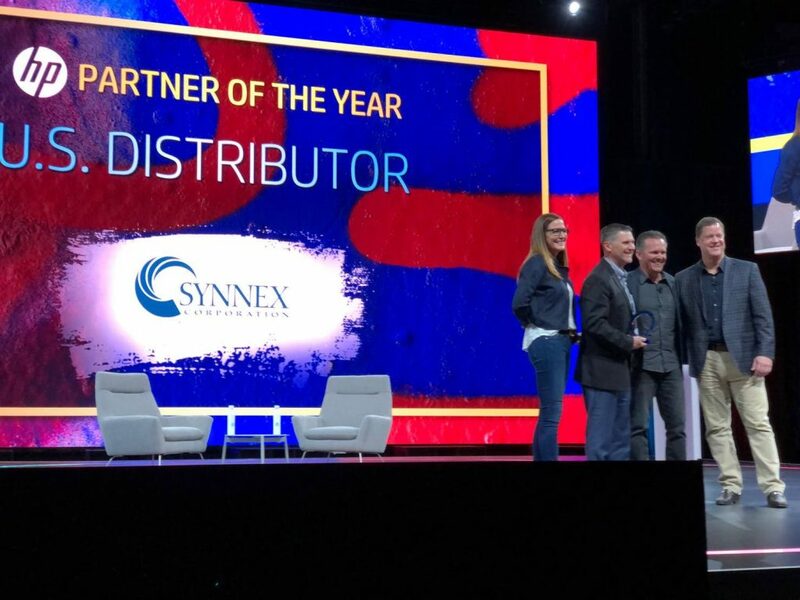 SYNNEX is recognized as the 2019 U.S. Top Distributor. HP’s 2019 U.S. partner award winners were selected based on a variety of criteria including strategic growth and innovation, and awards were given in the categories of Personal Systems, Print Hardware, and Supplies across distributors, national solution providers and resellers. SYNNEX was honored in all three product categories. For more information about HP through SYNNEX, visit www.synnexcorp.com/us/hpi/.